← Road Trip! I made a road trip! 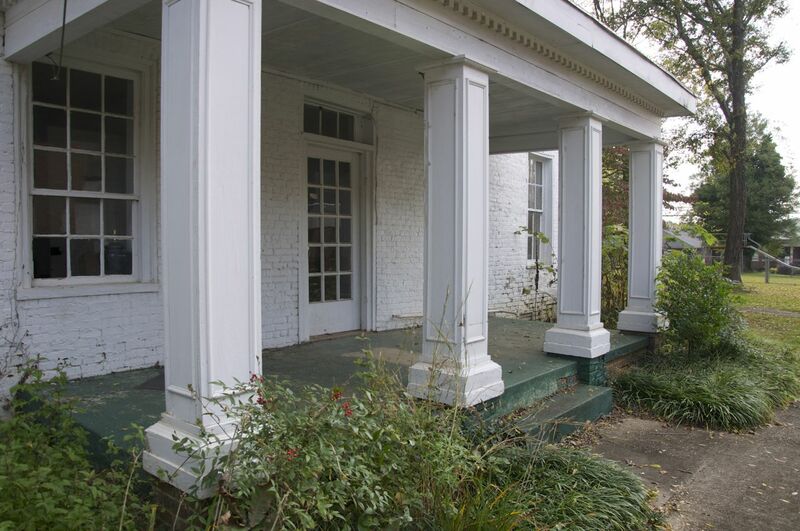 The Federal/Greek Revival 1.5 story house (MDAH, HRI) has 5 bays across the front, and entry through a center replacement single-leaf French door with 3 light transoms (Sanders 1993). The west gable has no windows. 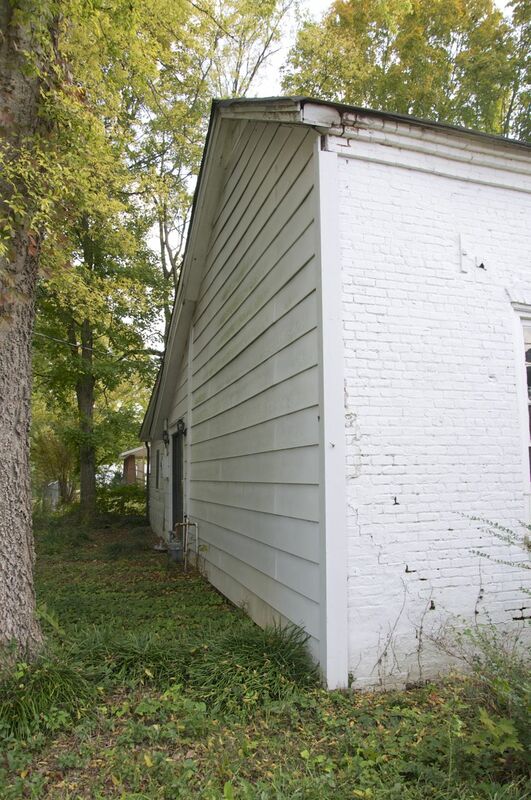 It also appears to have been covered with siding at some point, as the house is identified as brick construction. The chimney on the west has also been removed. Some type of addition was tacked onto the rear as it was not mentioned in the nomination form. The east gable has one window. 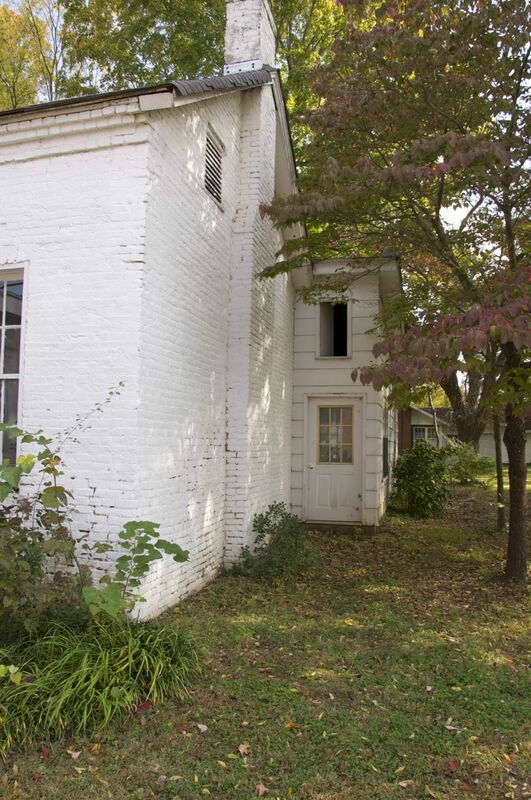 The east side retains the brick construction and the original chimney. There is no information on the reasons for the modification, nor the current use of the house. 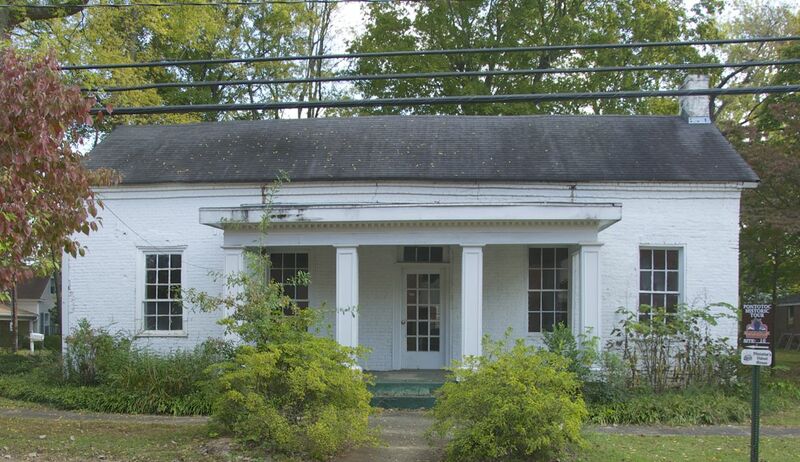 MDAH identifies it as the J.P. Jones house, and while it is on the Pontotoc Historic Tour, it is unclear as to its use. 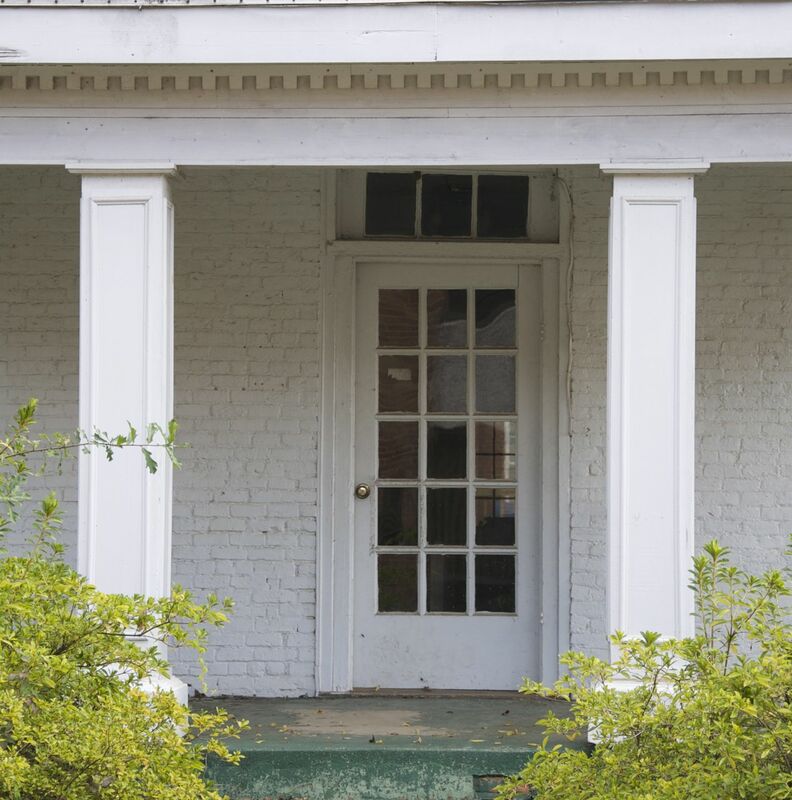 This entry was posted in Federal/Greek Revival, Greek Revival/Gothic Revival, Mississippi, Pontotoc and tagged oldest house in Pontotoc, Pontotoc, Thomas McMackin. Bookmark the permalink.